Victoria Sant (Vicki) is the co-founder of The Summit Foundation. The Summit Foundation provides support for international empowerment of girls and reproductive health initiatives, the conservation of the Mesoamerican Reef ecosystem, and Sustainable Cities. From 1993 to March of 2015, Vicki served as the co-founder and President of The Former Summit Fund of Washington that focused its efforts on improving the health and sustainability of the Anacostia River and preventing teen pregnancy in the District of Columbia. 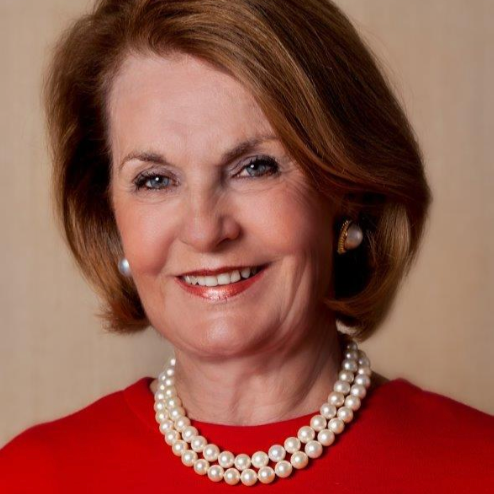 Vicki Sant has been a member of the board of Trustees of the National Gallery of Art since 2000 and served as chair from 2003 to 2014. She is a member of the board of The Phillips Collection, Vital Voices Global Partnership, The National Campaign to Prevent Teen Pregnancy, Foundation for Art and Preservation in Embassies (FAPE), The Brookings Institution, the Kakenya Center for Excellence and S & R Foundation Honorary Board. She is Chair of the Stanford in Washington Council and also serves on the World Wildlife Fund National Council, the National Geographic Council of Advisors, the International Council of MoMA - Museum of Modern Art, Stanford Cantor Arts Center, Stanford Arts Advisory Council and Stanford Center on Longevity. Vicki completed her term on the Stanford University Board of Trustees in 2007. She received a Bachelor’s degree in History and did graduate work in Speech Pathology and Audiology, both from Stanford University.